From 1933-1957 the Autavia was used to keep time in race cars and aircraft. Mounted on the dash the classic "rally clocks" are prized by collectors and it is that heritage that inspired the Tag Heuer Autavia watch collection released this week at Baselworld. 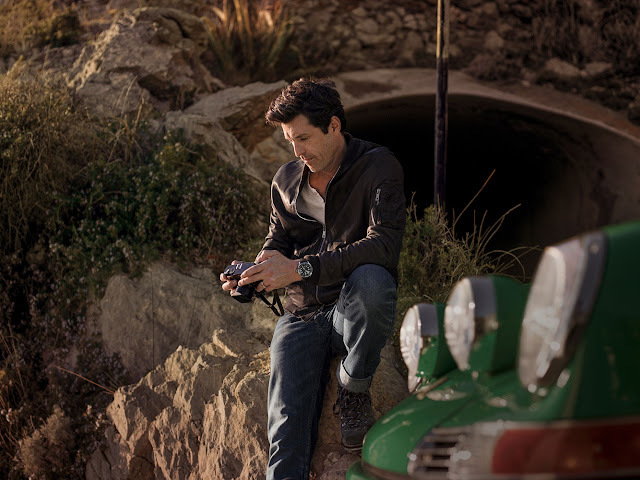 The original Autavia chronograph wristwatch was first launched in 1962, it's racing heritage and easy to read dial made it popular among motorsports enthusiasts, military operators, and men of style. 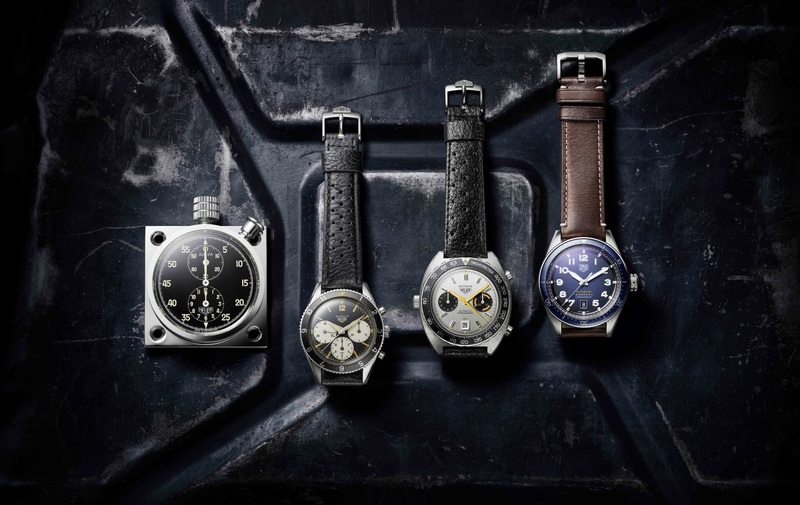 Production of the original wristwatch ceased in 1985 and vintage Autavias are prized by collectors today. Like many brands these days, Tag Heuer is revisiting it's greatest hits with a retro-inspired modern Autavia. 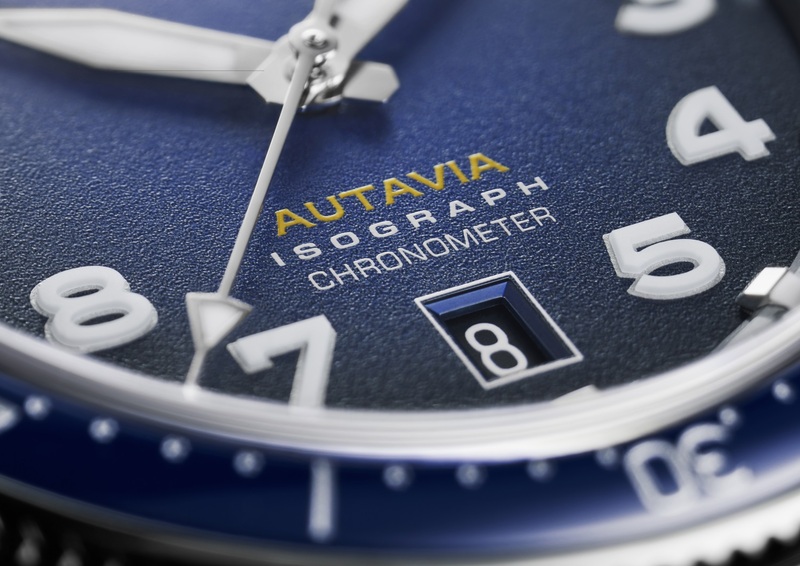 Drawing from the original 42mm rounded case with beveled lugs, an oversized crown, inspired by pilot's watches, and a bidirectional rotating bezel with a 60-minute scale in black ceramic, blue ceramic or stainless steel, give the new Autavia the same timeless style that made the original so popular. The functional and easy to read face is enhanced by SuperLuminova® coating on the hour markers, hour, minute and seconds hands, making it possible to read the watch in low light. The smoked dial is available in black, grey or blue, and has a date window at 6 o’clock. 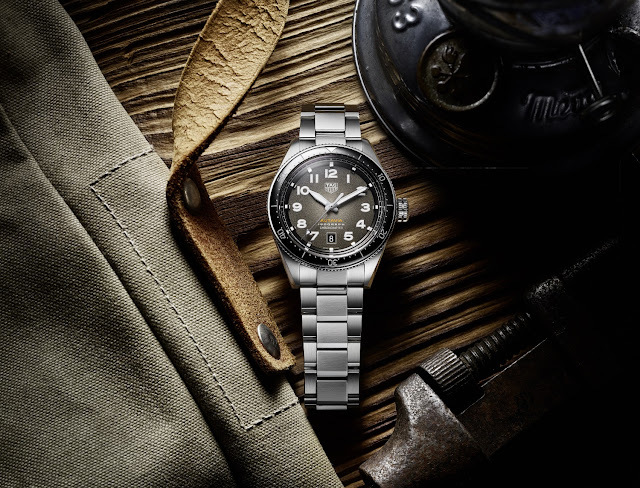 The Autavia is offered with a stainless steel bracelet or leather calfskin straps in dark or light brown. Watches ordered with the bracelet include a NATO strap, and the bracelet and straps feature push-button releases making changing out straps easy to do at home. The launch campaign features racing driver and actor Patrick Dempsey, a fitting spokesman for a watch with a great motorsports pedigree. 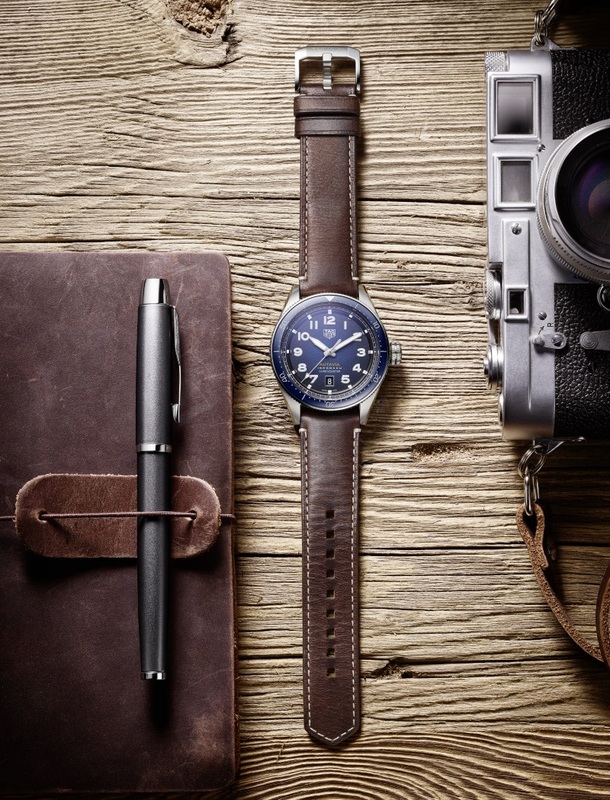 WBE5112.FC8266: blue dial and bezel, brown leather strap. WBE5110.FC8266: black dial and bezel, brown leather strap. WBE5111.FC8267: grey dial, steel bezel, brown leather strap. WBE5112.EB0173: blue dial and bezel, stainless steel bracelet and NATO strap. WBE5110.EB0173: black dial and bezel, stainless steel bracelet and NATO strap. 25 jewels, balance oscillating at a frequency of 28,800 vibrations per hour (4 Hz), 38-hour power reserve. Date, hour, minute and seconds. Diameter 42 mm, case in stainless steel, bidirectional rotating bezel in blue or black ceramic or stainless steel, sapphire crystal with anti-reflective treatment, water-resistant to 100 m (10 bar). Blue, black or grey smoked dial, rhodium-plated indexes, and hands filled with SuperLuminova®. Light or dark brown calfskin strap or stainless-steel bracelet, pin buckle in stainless steel.